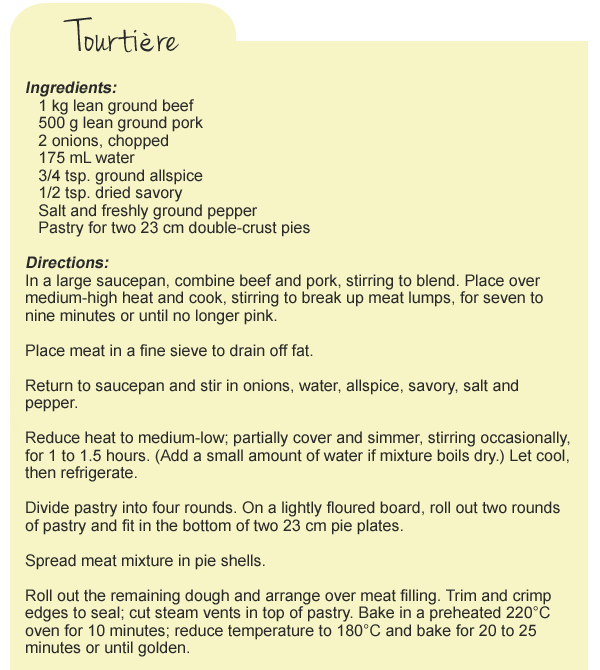 Tourtière is a double-crusted meat pie that is likely named for a shallow pie dish still used for cooking and serving tourtes (pies) in France. The ground or chopped filling usually includes pork, and is sometimes mixed with other meats, including local game, such as rabbit, pheasant or moose. It is famously served as part of réveillon, a traditional feast enjoyed by Catholic Québécois(es) after midnight Mass on Christmas Eve.